We must act now to ensure more than 1.2 million federal contract workers get the back pay they deserve, just like federal employees. Federal contract workers, like IAM members who work alongside NASA employees, are still picking up the pieces after the 35-day shutdown. Many had to dip into their savings and cut back on expenses. 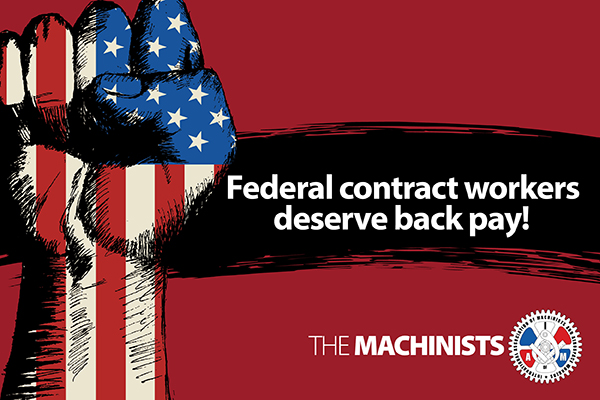 Send a letter now urging your Senators and Representative to support the inclusion of back pay for federal contract workers in any long-term funding agreement.